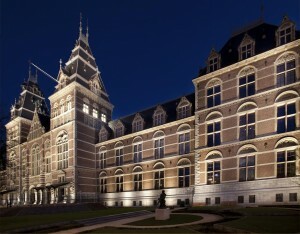 If you travel to Amsterdam, the Rijksmuseum is a must! Highly sought out as a top tourist destination in Europe, Amsterdam is the epitome of Dutch art and culture. Holland has produced some of the most famous artwork in history- and the building that houses its masterpieces has just undergone an extensive 10 year renovation and reopened in April 2014 to the general public. I’m sure most of you are familiar with the iconic red and white “I Amsterdam” block letter statue that is the main feature of postcards and tourist photos of Amsterdam. Right behind those letters stands the newly reopened Rijksmuseum, which is a must see when you are travelling in the area. € 15 will grant you entry, or you can add to your experience by combining your museum visit with a 75 minute historic Canal Cruise conducted by Blue Boat Company as well as the Rembrandt House Museum for € 41.50. On the cruise you will see where Rembrandt lived, painted his masterpieces, and even where the town criminals were hung centuries ago. Be sure to buy your tickets online before you go to avoid wasting unnecessary time in queues. The vast renovations have resulted in the museum frequently drawing quite the crowd! 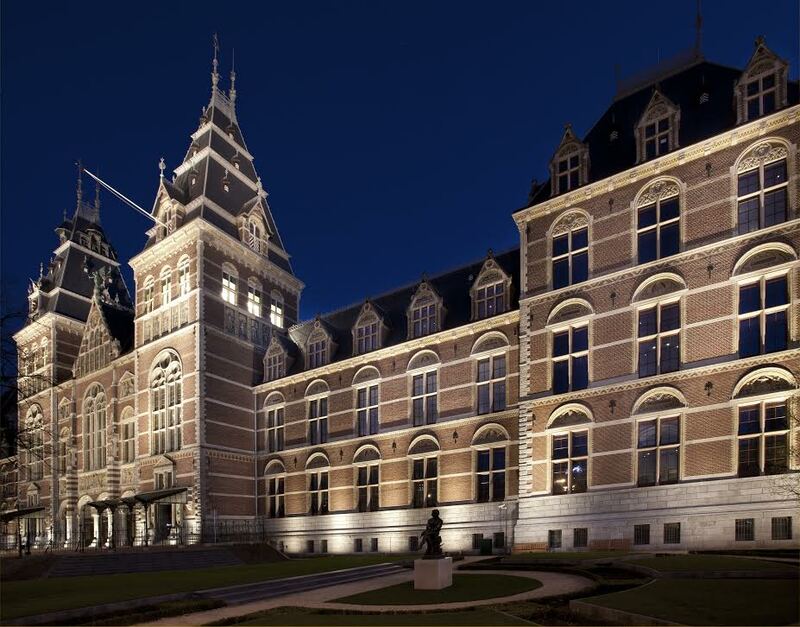 The Rijksmuseum’s main attractions are its famous paintings by renowned Dutch artists, such as Rembrandt’s The Night Watch and Vermeer’s The Milkmaid. Also featured are several works by Dutch natives Van Gogh and Steen. In addition to local art, the museum also houses an Asian collection as well as a wide array of sculptures and other artwork spanning across many different decades and genres. Following the renovation, the museum’s 8,000+ artifacts have been organized in chronological order, making your navigation of the numerous collections a little less chaotic. On display currently is a new exhibition called Art Is Therapy, accompanied by a special collection of 40 coats from 1630-1940. Make sure to visit this summer to see these special exhibits before they are rotated out! Stop in the restored Cuypers Library to browse and admire the cozy 19th century reading room. Seeing all of the works in the museum takes quite a bit of time- we recommend you go early to beat the crowds and get the most out of your day. If you aren’t quite sure what all you want to see, taking an organized tour is a good way to experience the highlights. Tours are only € 5 and there are several different options to choose from. If you would like a general guide but still want to explore at your own leisure, you can download a multimedia tour, which provides seven different routes for you to take. You can stop for a lunch or coffee break in the museum’s café, or save money and break free from the crowds by packing a picnic beforehand to enjoy in the relaxing small garden at the back of the property, complete with a fountain to create the perfect scene for lounging and reflecting on the amazing artwork you have just been fortunate enough to witness! Don’t forget to check out all of our great Travel Tips, especially the Travel Tips for Europe, before you head overseas. For over 36 years, AESU has been the most trusted name in travel, offered unique, exciting travel programs for college students and young professionals. Join AESU for the excitement and adventure of a lifetime. If you have any questions, please contact AESU by calling 800-638-7640 or fill out the contact form found on our website. This entry was posted on Thursday, May 22nd, 2014	at 4:45 pm	. You can follow any responses to this entry through the RSS 2.0	feed. Both comments and pings are currently closed.